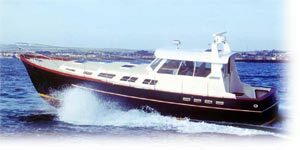 The mission of Westlawn is to provide students with the skills and knowledge required to build a successful career in yacht and small craft design, and second, to support continued growth of the recreational marine industry through the development of various courses and programs to promote and provide educational opportunities for those working – and those intending to work – within the marine industry. Although the school focuses on the computer-aided design process, it is also committed to ensuring that students gain solid traditional skills. Westlawn.edu launches the Institute even further into the future of yacht design. The new forum is open to all current students and to all graduates of either the full Yacht Design Program or of Yacht Design Lite. If you’re a graduate, email westlawn@abycinc.org to create your log on account. If you’re an active student and haven’t received your log-on information email westlawn@abycinc.org.